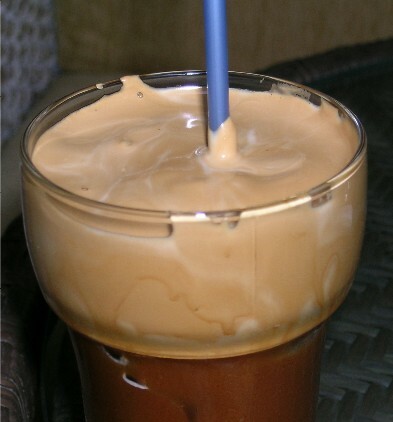 According to popular legend, the Greek-style frappe was invented in September 1957 at the annual Thessaloniki International Fair in the convention center of Greece’s second largest city. Working at an exhibit for Andreas Dritsas, then the Greek distributor of Nestle products, sales representative Dimitrios Vakondios made an important discovery. Reportedly there was no hot water available. Maybe he merely desired cold refreshment. Either way, Vakondios grabbed a shaker meant for Nesquik, the Nestle cocoa drink, filled it instead with Nescafe instant coffee and a little cold water, and shook it vigorously. Not accounting for the burst of foam this action would generate, Vakondios achieved two results: The first outcome was the staining of his business suit; the second, the invention of the foamy concoction that would become something akin to the identity soft drink of Greece. The hallmark of a Greek frappe is a foam so sensationally frothy that it resembles a cream. Coffee foams such as the crema atop espresso are generally produced by the proteins in the coffee. These proteins act as surfactants (surface active agents) which form a thin elastic membrane on the liquid’s surface area and entrap air. 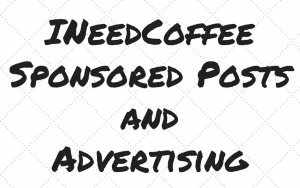 The main advantage instant coffee has over brewed fresh coffee for the purposes of foaming is that it can be prepared in a highly concentrated solution. When that solution is shaken there are lots of proteins to line the bubbles that form and help produce a thick, durable foam. In both its powdered and granule form, instant coffee is basically brewed coffee which has been dried to remove most of its water. The amount of water added back to it can be carefully controlled. A small quantity of water can be used to produce the foam. Then more water or milk can added afterward to dilute some of the foam, filling the cup or glass beneath it with drinkable coffee liquid. A dense extract made with instant coffee and water in a weight-per-volume concentration as high as 6 percent provides an abundance of protein molecules to surround the bubbles as they form. Put in a mixer 2 cups Nestle evaporated milk, 1 cup water, 2 teaspoons Nescafe, and 1 scoop vanilla ice cream. Mix a few seconds and serve. This formula took after the French classic cafe frappe, made with ice cream, as much as the Greek one, which acquires its foam and fullness without ice cream. By 1963 ice cream was no longer a part of Nescafe’s frappe equation. All you have to do is beat Nescafe, sugar, and cold water. Greek Frappe Recipe – Greek Frappe recipe here on INeedCoffee. 11 Crazy Coffee Drinks You Won’t Find on a Starbucks Menu – INeedCoffee article. 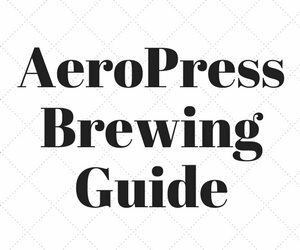 Coffee Brewing Guide – INeedCoffee’s collection of coffee brewing tutorials. Food journalist Daniel Young is the co-author, with Vivian Constantinopoulos, of Frappe Nation, an exploration of Greek-style frappe and the cool coffee culture that sensationally frothy iced coffee stimulates. His next book will focus on coffee modes and mores. 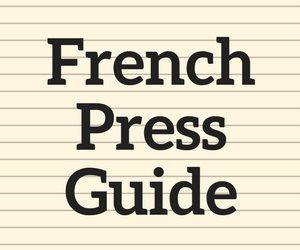 He is author of The Bistros, Brasseries, and Wine Bars of Paris; The Paris Cafe Cookbook; and Made in Marseille; and has written for such publications as The New York Times, The Los Angeles Times, Bon Appetit Magazine, and Gourmet Magazine. A native New Yorker, he now splits his time between London and Paris.